After years of being on the same website, which wasn’t updated as much as I would have liked, ORA has finally made some changes. 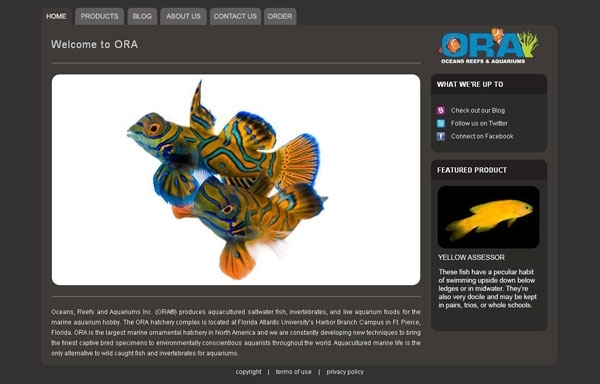 The new ORA website is full of pictures of ORA livestock, including the aquacultured fish and corals that are so popular in the aquarium industry. The entire list of clownfish, seahorses, and SPS corals are displayed in full glory, as high quality pictures flood the site. ORA has also included a section for their Marshall Island Mariculture Farm livestock, which is a group of corals many hobbyists might not know about. You might also notice an “Order” section. 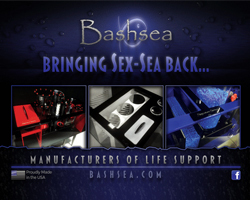 Before you get all excited, this is for wholesale accounts only…sorry. But this is first time ORA has offered this feature online. Previous methods of ordering relied heavily on pen and paper, as well as emails. 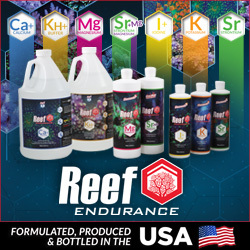 Hopefully this will streamline the process so your local fish store can get some sweet ORA aquacultured goodies quicker. The last feature I would like to discuss, and one that we are very excited about, is the new ORA Blog. The blog will be a way for ORA to communicate news about their latest products and developments to hobbyists and retailers alike. This means though that the monthly newsletter will be abandoned. Congrats on the new site ORA. It looks amazing and we’ll be perusing it regularly.